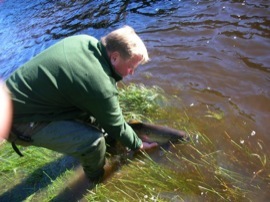 Thank you for sending these images of Saturday 22nd September, a 14lb salmon caught by Robin Parry being returned into the flooded Gardenback pool, Boleside by gillie Ian 2. 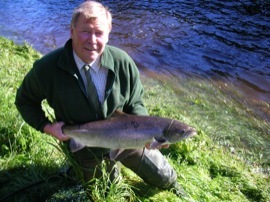 This entry was posted in Uncategorized and tagged Angling, boatmen, Boleside, fishing, FishTweed, River Tweed, season 2012, spring salmon, Tweed, Tweed Valley. Bookmark the permalink.